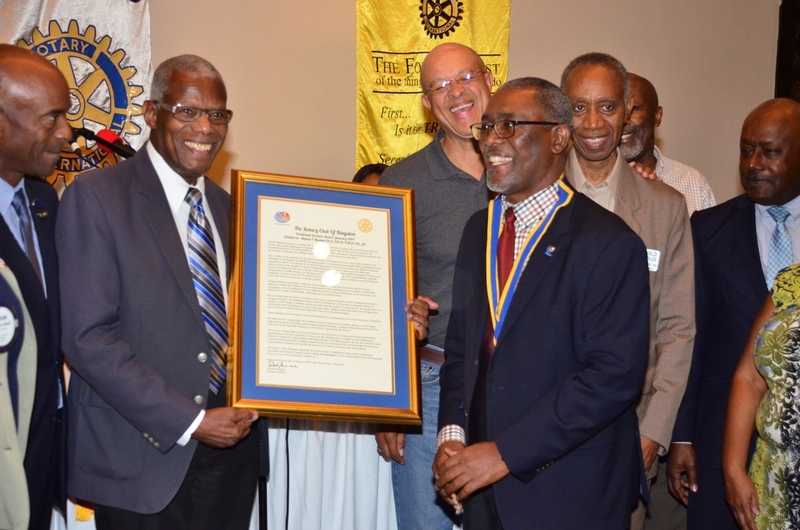 Awardee Aulous Madden (second left) holds the citation while Linval Freeman (right), President of the Rotary Club of Kingston, Raymond Campbell (left) guest speaker, together with chartered accountants. Respected Jamaican chartered accountant Aulous Madden, who was instrumental in the establishment of the Institute of Chartered Accountants of the Caribbean (ICAC) in 1988, has received the prestigious 2019 Vocational Services Award from the Rotary Club of Kingston. Madden created history when in 1996 he was elected to the Council of the ACCA as the first Council Member from the Caribbean. He has also served as past president of the Institute of Chartered Accountants of Jamaica (ICAJ) and Vice President of the Public Accountancy Board, which oversees the accountancy profession in Jamaica, having served on the board for 13 years. 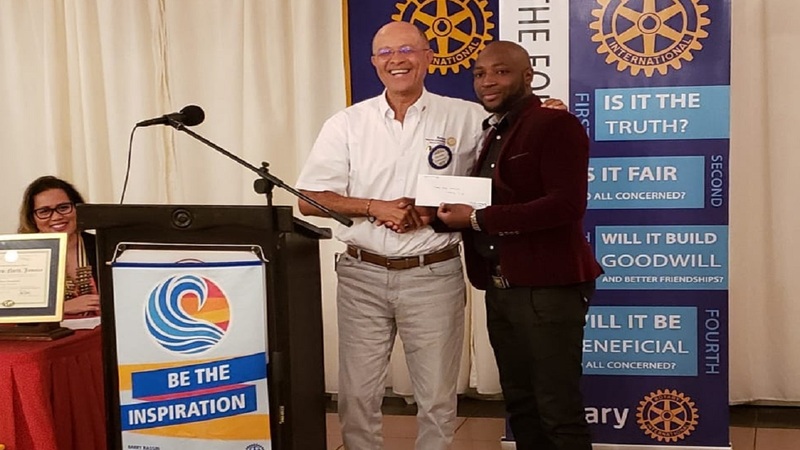 He was recognised at the luncheon meeting of the Rotary Club of Kingston last Thursday when he was presented with a citation from the club for his exemplary leadership and management skills, which have seen him rise to the top of the accounting profession. “He has given back a lot of time and energy to the advancement of the profession by sharing his knowledge. He is an inspiration for many accountants in the way he conducts business and the training he provides to young accountants”, read the Citation. 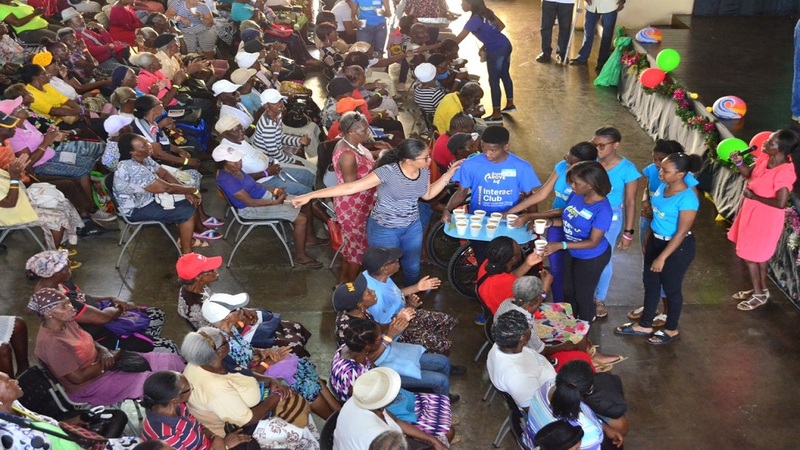 Madden has also been described by the Rotary Club of Kingston as a man of impeccable character, who has been selected to serve many government and business organisations in various capacities. For nine years Madden sat as a member of the Parliamentary Integrity Commission which monitors the financial status of Parliamentarians. 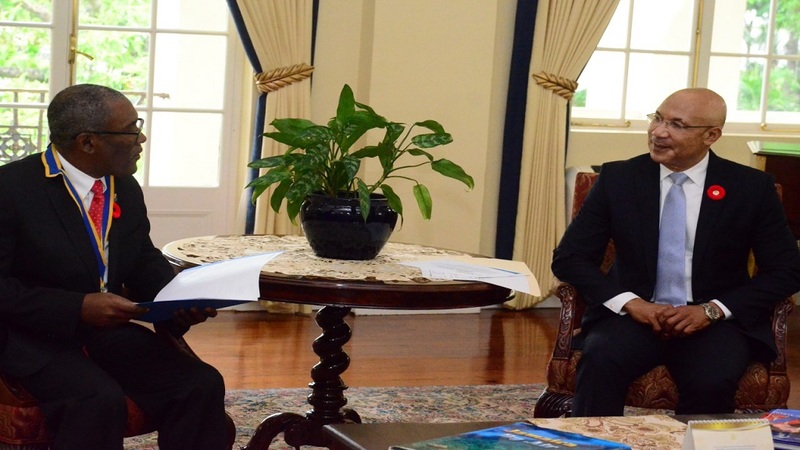 He was one of the first three Commissioners for the Fair Trading Commission and has been actively involved in the Private Sector Organisation of Jamaica, having held the positions of Treasurer, Secretary and Vice President. He established the firm Aulous F Madden & Co Chartered Accountants over four decades ago, which now operates as PKF Aulous F Madden, where he is senior partner. Madden has been awarded the Order of Distinction for outstanding service to the accountancy profession. A devout Christian, he has served in many leadership positions in the Maranatha Gospel Assembly including a member of the Elders Board and Vice Chairman of the Mavisville Preparatory School that is operated by the church. Guest speaker at the luncheon, Raymond Campbell, President of the Institute of Chartered Accountants and partner at KPMG auditors, said the role of a chartered accountant was vital in disseminating accurate and reliable financials. “The work produced by accountants is more widely used than any other profession, as the public places great reliance on the integrity of the reports,” Campbell said. While expressing appreciation to the Rotary Club of Kingston for the honour, Madden – a former member of the Parliamentary Integrity Commission - expressed concern about recent media articles that there was delinquency in tabling a report of the Commission in Parliament.